With its sunny climate and warm environment, there is no surprise as to why West Palm Beach, Florida entertains so many visitors all year long. However, this beach town is more than a vacation spot. With a growing number of tech companies, West Palm Beach is one of the up-and-coming technology hubs in America. West Palm Beach is growing as a center for technology. Along with the Palm Beach International Airport, West Palm Beach tech and tourism industry as well as the whole of Palm Beach County works a key component in Florida’s economy. With a goal to make the West Palm Beach area a premier technology & innovation hub by 2030, The Palm Beach Technology Association works as a non-profit building the tech industry and community throughout the county. This association works on attracting new business and supporting startups for a wider economic impact and expanding the major tech industry of West Palm Beach. Ranked in the top 50 by Forbes as one of the Best Places for Business and Careers as well as #19 in Job Growth, West Palm Beach will keep growing in numbers of businesses as well as tourists. From Pratt and Whitney Rocketdyne, Sikorsky Aircraft Corporation and more, UTC has strong base in West Palm Beach and while some companies are not owned by them anymore, the aerospace and technology community recognizes the role West Palm Beach has played and the United Technologies Center for Intelligent Buildings now resides in the city serving as the global corporate headquarters for UTC Climate, Controls and Security. As West Palm Beach makes a name for itself as a growing tech hub, tourism still remains as one of the top industries of the town. Home to the largest museum in Florida, Norton Museum of Art, and SunFest, an annual music and art festival with over 275,000 visitors each year, this beach and resort town knows how to show tourists a good time. 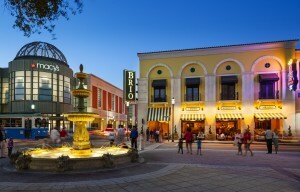 Where historic streets become popular event and shopping destinations, West Palm Beach features Celmatis Street. You can find shopping stores, food and live music walking down this main, historic street. The Palm Beach Post, a popular newspaper that is located in West Palm Beach but serves as a publication for the whole area, is also a resourceful and favored newspaper in the county and city. West Palm Beach brings its two main industries of technology and tourism together to create a fun and promising atmosphere for businesses and visitors alike. Find a West Palm Beach area phone number for your business. To search numbers available in area code 561 click here. This entry was posted in Local phone numbers and tagged West Palm Beach Phone Numbers by Kathryn Anderson. Bookmark the permalink.